How much GP do you get from a zeta? Anyone get 7* c3po without wicket and logray? Gear 12+ worth it for ships? Anyone else not getting character shards from shipments? What are the pros and cons of gearing up Nightsister zombie? What’s required for the mother talzin event again? How difficult is the ROLO special mission? How do y'all think of this out of the box arena team would do with scariff rebel pathfinder? What is the best team around GK and Zarris? A 'dispel' ability cannot be resisted, right? Dear Devs - I believe i have the answer to arena shard collusion: Arena Shard Rotation! Why is Squad and Character Strategy barely used anymore? Why is there so little activity on Squad and Character Strategy? 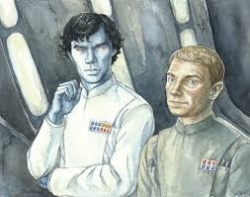 Who will Thrawn turn swap with on auto/defense? Thoughts on this Thrawn team? What would 100% tenacity mean? Possible meta with Gar Saxon (L) and imperial troopers? What's the best 5th spot for a haat clones team? Leia, boba, datcha? Possible great all around team? Best anti-meta? Mk 3 Sienar holo projector salvage in shipments?